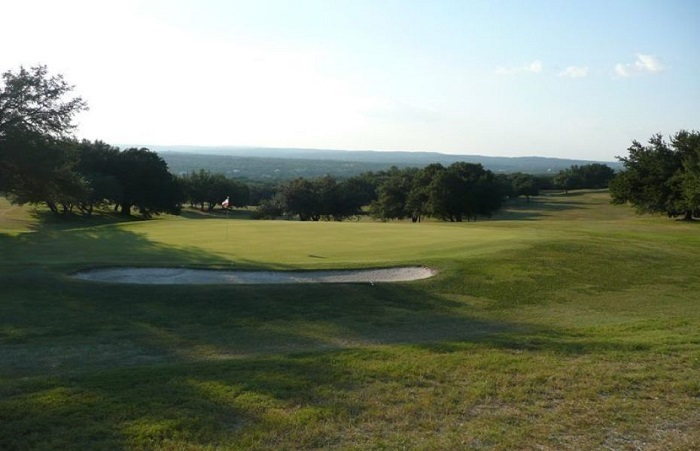 Country music singer Willie Nelson croons about being “on the road again’ and goin’ places that I’ve never been.” When your travels take you on the road to Austin, Texas, be sure to visit Willie’s nine-hole Pedernales Golf Course in nearby Spicewood. The official course name is Willie Nelson’s Pedernales Cut N Putt. The par 36 course measures 3,330 yards. There is no pretense of a country club feel to this popular course, just an overwhelming country feel! The course opened in 1968, and Willie purchased it in 1979, along with the adjoining recording studio, hence the Cut in Cut N Putt. Over the years, the singer has given the course its down-home feel. How can you not like a course that allows you to bring your own cooler or wear flip-flops? Another local rule says that a foursome can have as many as a dozen golfers! Hmmm. While experiencing this unique golf course and the surrounding Spicewood area, park your RV at Pace Bend Park, formerly known as Pace Bend State Park. Offering great views of the Texas Hill Country, Pace Bend Park has nine miles of shoreline along Lake Travis. 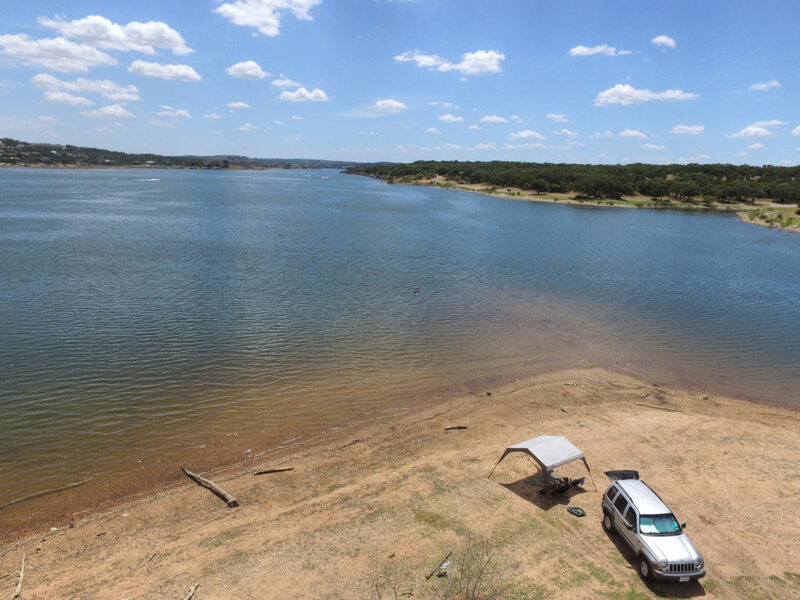 Though the park features more than 400 primitive campsites, Pace Bend offers 20 improved campsites for RVs. These sites offer water, 30/50 electrical hook-ups, showers, and restrooms. These improved sites, as they are called, are all located on the east side of the park just above Levi Cove. It’s an easy walk to the lake. They feature plenty of shade trees and flat, grassy areas. All sites are back-in only. Reservations are highly recommended. 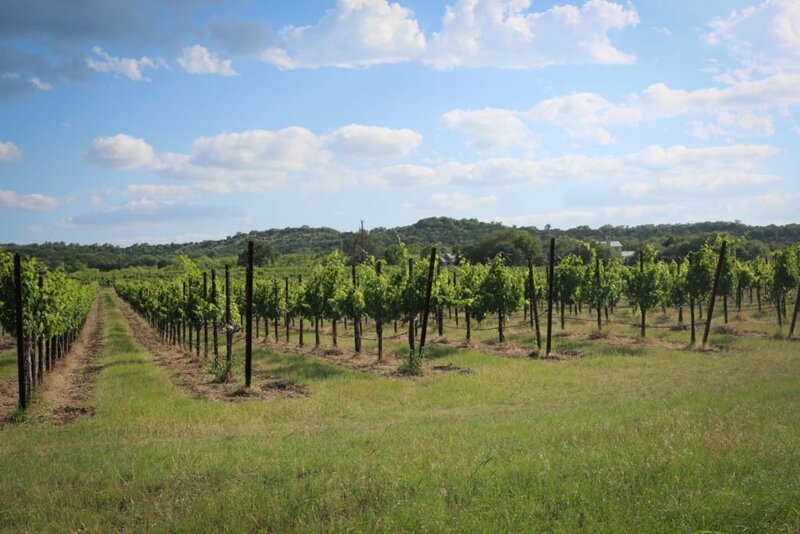 Worth exploring in the area is Spicewood Vineyards. They produce a variety of wines including reds, whites, and a few sweet wines as well. Other area wineries include El Gaucho Winery, Flat Creek Estate Winery, and Stone House Vineyards. 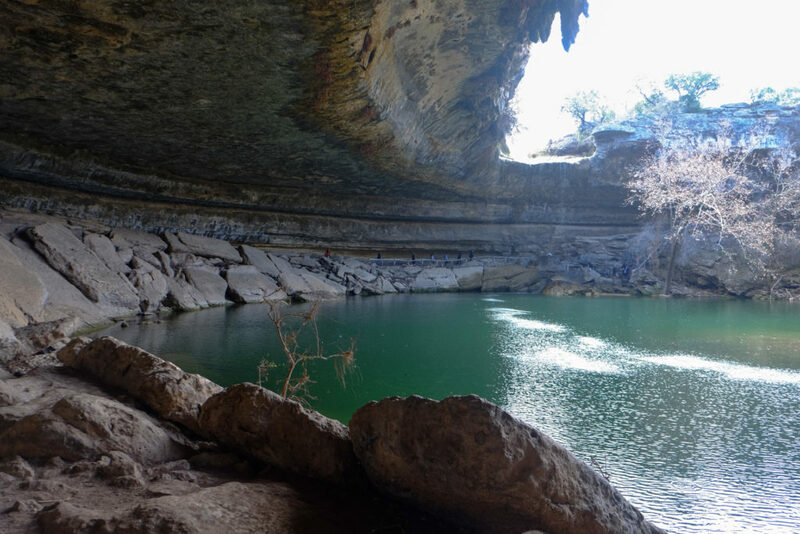 Also, many visit the area just to experience Hamilton Pool Preserve. This incredible natural pool with a waterfall is located in nearby Dripping Springs. Check out this link for more information about Spicewood. You can also read more about camping in Pace Bend Park on Campground Reviews.